Steel Raven : Declassified- BLOOD FOR THE BARON!!! Steel Raven has earned the reputation of the â€œMost Dangerous Women Aliveâ€, and she has earned it with blood and sweat. Joined S.K.A.R. at a very young age and quickly rose through their ranks, as a force to be reckoned with. 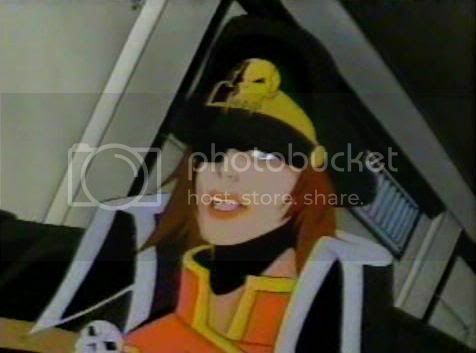 Steel Raven lost her eye while in the service to S.K.A.R. and it is believed to have been while protecting Iron Klaw Himself. Through this she has earned his respect, admiration, and the â€œThe Most loyal of allâ€ titles. She is directly responsible for and in command of, all operations of the special forces Units, both in field operations and recruitment. She hand picks each recruit that enters the special forces program and then oversees thier training and then finally leads them into battle personally. She is the second in command of the military arm of S.K.A.R. 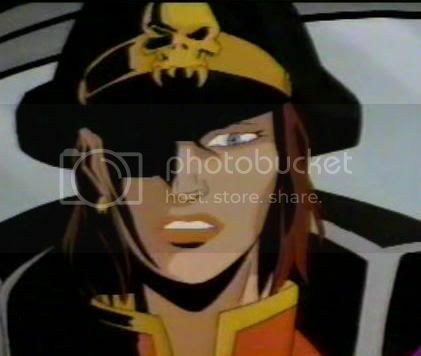 and thus is the 2nd most powerful person in the Organization, if Iron Klaw was to be killed, she is the one that would be responsible for holding together and leading S.K.A.R.â€™s military, and this has been exercised at least once in the past when Iron Klaw was thought to have been killed, which unfortunately didnâ€™t come to be true. Because of her high rank in the organization, some of the other Generals like Rampage (who desires to one day lead S.K.A.R himself.) have grown very jealous of her and despise taking or receiving orders from her. However Rampage and any others would never say anything publicly because she would have them dealt with, and they too fear her wrath. She is expert Pilot and has a grudge match against Mayday who she refers to as â€œThat American Pilotâ€. The two have met in Ariel combat before but without a clear winner, and therefore she longs to have a final dogfight in the sky with Mayday. She is also an expert Interrogator, one that is trained in both traditional medieval ways and the most modern of Interrogation techniques. It is believed she likes to use the highly illegal and painful methods first, just to have fun, before she employs the likes of truth serum and other modern interrogation techniques that are less painful. Unfortunately this has all been experienced first hand by Clancy himself, when he found himself to be a captive of S.K.A.R. It is unknown as to when, why, and how Steel Raven and the mercenary Sniper Silencer met, but she has been able to secure his loyalty---- for a price, what that price is no one knows. Silencer will not accept, or even consider any jobs from anyone else but her, and this includes other S.K.A.R. generals. 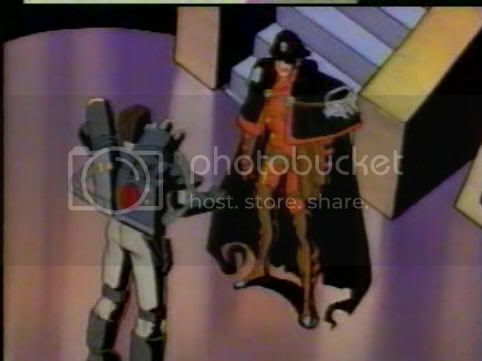 Once even Rampage tried to hire his services, but he refused, just stating he only works for Steel Raven. 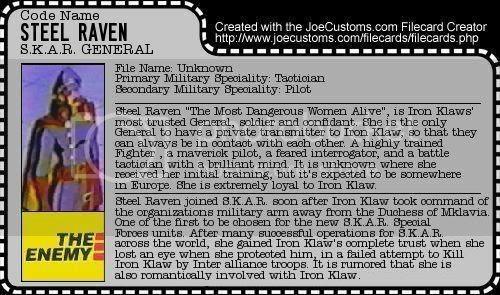 Steel Raven is not only dangerous because of her deadly skills in combat and interrogation but her ability to draw, inspire, and attain others services as well. She can usually be found at most times at Iron Klawâ€™s side, and together with Iron Klaw they have made S.K.A.R. even more deadly and cunning. She is extremely defensive of him and would proudly die in protecting him. Her loyality to Iron Klaw and S.K.A.R. goes without question. One interesting thing about her is while Iron Klaw is fascinated with Genghis Khan she is inspired by another Asian warrior, Tomoe Gozen, the really only true Women Samurai from Japan. 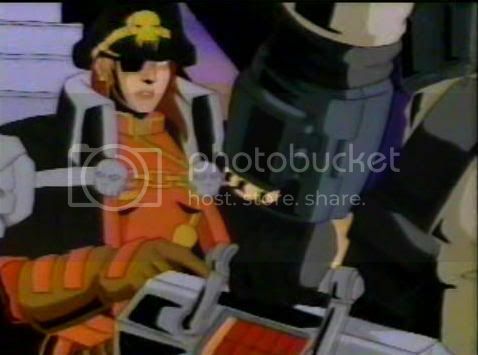 Rumors have circulated about this women through various means, one of which she was romantically involved with Steel Talon, the SKAR troopers commander and another that she is romantically involved with IRON KLAW himself. While these may very well be true, it canâ€™t be denied that itâ€™s a good chance the rumors might have been started by other jealous soldiers and generals in a way to explain why she has gained the rank she has. Make no mistake she is a deadly warrior and commander, one not to be underestimated. While she doesnâ€™t believe she could lead S.K.A.R. in Iron Klawâ€™s absence Inter Alliance feels she is more than capable in doing so. Another rumor that is very disturbing is, itâ€™s believed that she is the daughter of the former Duchess of Mklavia, who was the former leader of the military arm of S.K.A.R. and who was assassinated by Iron Klaw. 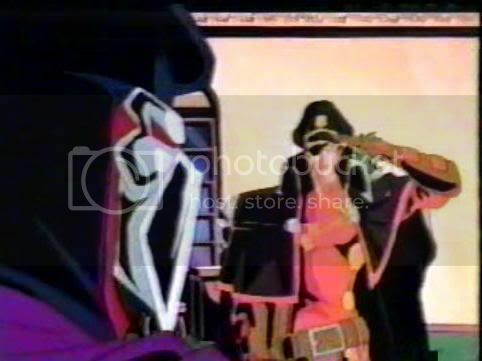 What is really disturbing is, it is believed that she not only knows about this, but also helped in the aftermath of her death by helping in securing the loyalty and calming the fear of the soldiers, which finally declared absolute loyalty to Iron Klaw and now is quite possibly romantically involved with Iron Klaw himself. It is unknown as to why she would want her own mother dead but if this rumor is true and again it has not been verified, (but itâ€™s one that comes from several very credible sources) shows how deadly she can be and how loyal she is to Iron Klaw. 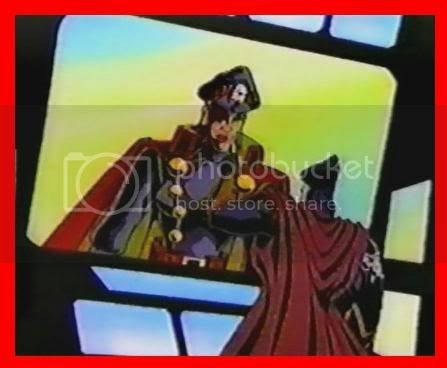 Steel Raven First shows up in episode 11 Winner takes all ( which can be found here: ), when she stops Rampage from seeing Iron Klaw personally, and states that no one can see him except her. She quickly establishes her character and her importance to Iron Klaw in her very first appearance . She is shown a few more times in season 1 in only 2-3 episodes . Each time she is in the close company of Iron Klaw. Announced this weekend at JoeCon, Steel Raven will be getting own exclusive figure as part of the fifth series of Figures Subscription Service. You may now perform the dance of joy. that is awesome ! so happy to see this . I am a member of the joeclub, but I only want steel raven out of all of this subscription stuff. crap what am I suppose to do ! Do they usually have extras ? They have since FFS 3 (maybe 4). Not sure about earlier waves. Great news! GI Joe Extreme lives!